In just half a decade, Edwin Neo has transformed Ed Et Al Shoemakers from a humble start-up to a successful company that has helped revive the shoemaking trade in Singapore. To celebrate the five-year anniversary of his high-end shoe brand for men, the visionary founder and head designer has revealed new offerings that are slated for an early August 2015 release. Here, EX highlights these latest products and services that were designed for the stylish gentleman with impeccable taste in shoes – yes, we’re referring to you. Seeing how bespoke services can prove daunting for certain first-time customers, Edwin revamped his flagship store at Millenia Walk to look like the quintessential gentleman’s living room. The lavish (yet homely) interior, boasting deep brown wood and classic leather finish, will help you relax while having your feet measurements taken. There’s even a private room that comes equipped with a vintage vinyl player and bottles of single malt whisky for your enjoyment. Hardly the one-dimensional entrepreneur, Edwin has diversified his product offerings and will soon launch the Leather Accessories collection. 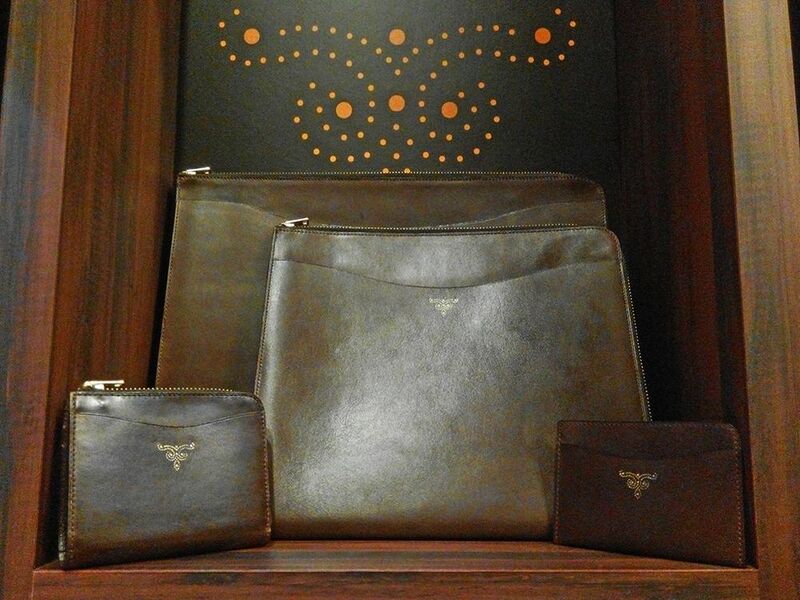 Consisting of a classic name-card holder, zipper wallet, iPad holder and a full-sized A4 folio, this collection is made with the same quality Italian calf that the leather shoes by Ed Et Al Shoemakers are known for. The crème de la crème of offerings at Ed Et Al Shoemakers, this signature service lets you fully customise your dream pair of bespoke shoes at a reasonable price that starts from S$3,000. Each pair takes about three to six months to complete, due to the multiple fittings and extensive handwork required. What’s new this season is the expanded selection of calf leathers used in the shoes’ construction. Fancy footwear made with premium Russian calf? If time is of the essence and you need a pair of dress shoes urgently, consider the latest ready-to-wear range by Ed Et Al Shoemakers. Focusing on timeless designs, this stunning collection reimagines the classic Oxfords, Derbys and Chelsea boots. The shoes come in black, dark brown, antiqued brown and burgundy, and were named after iconic streets and districts in Singapore. Fancy a pair of shoes from the rack but wish you could alter certain elements of it to your liking? 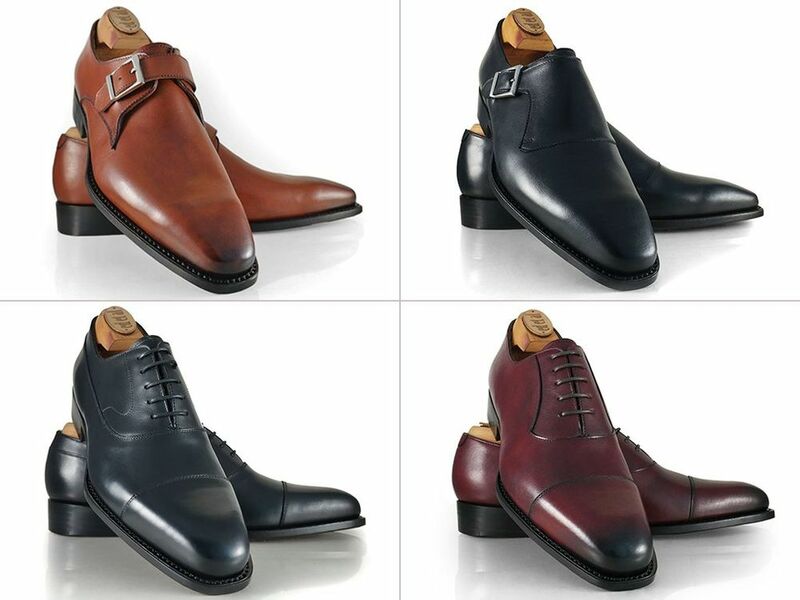 The new Prestige range by Ed Et Al Shoemakers lets you choose any designs from the ready-to-wear collections have it recreated in-house according to your colour and material preference. Areas of customisation also include the addition or removal of medallions.